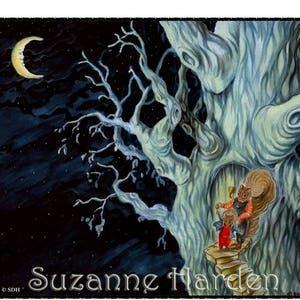 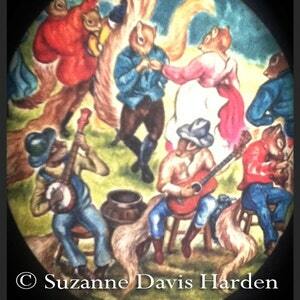 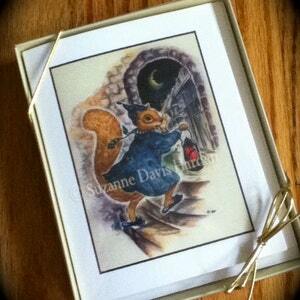 Squirrel Dreams Whimsical Storybook Greeting Card © Suzanne Davis Harden All rights reserved. 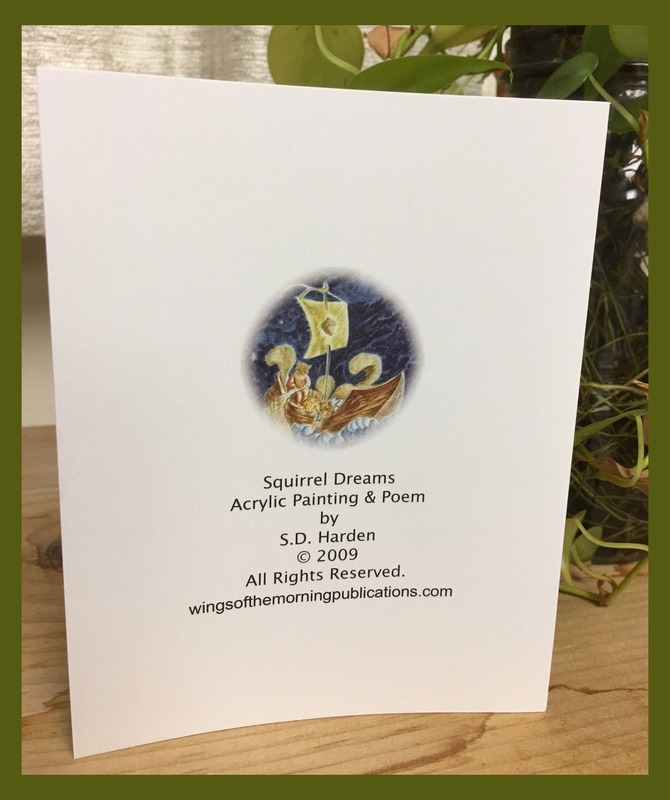 “Squirrel Dreams” is one of seven original Whimsical Storybook Greeting Cards that I designed, wrote, and illustrated especially for Children to encourage their imaginations and give them their very own cards that they could send to their friends and loved ones, use as party invitations, collect, or even slip into a frame for their bedroom or playroom. 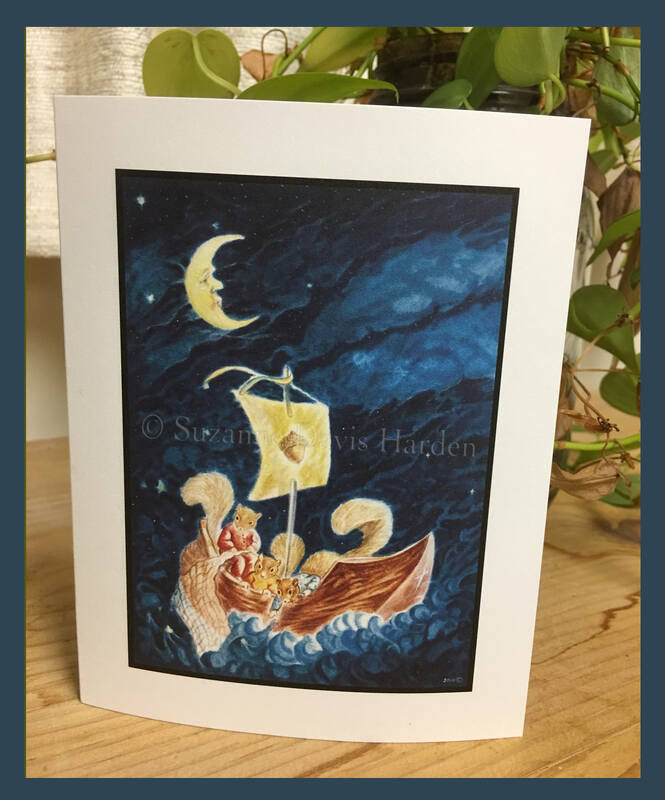 This whimsical greeting may be purchased as a single card or as a set of five cards. 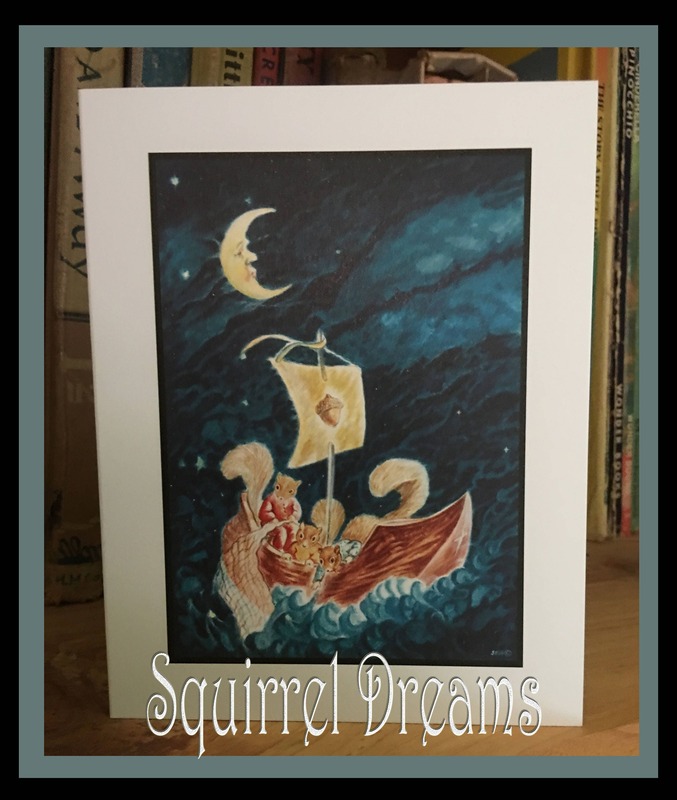 The Poem tells the story of the little squirrels who are sailing through the sky sea in their tiny boat fishing for dreams, while the golden moon hovers above them like a great night guardian. 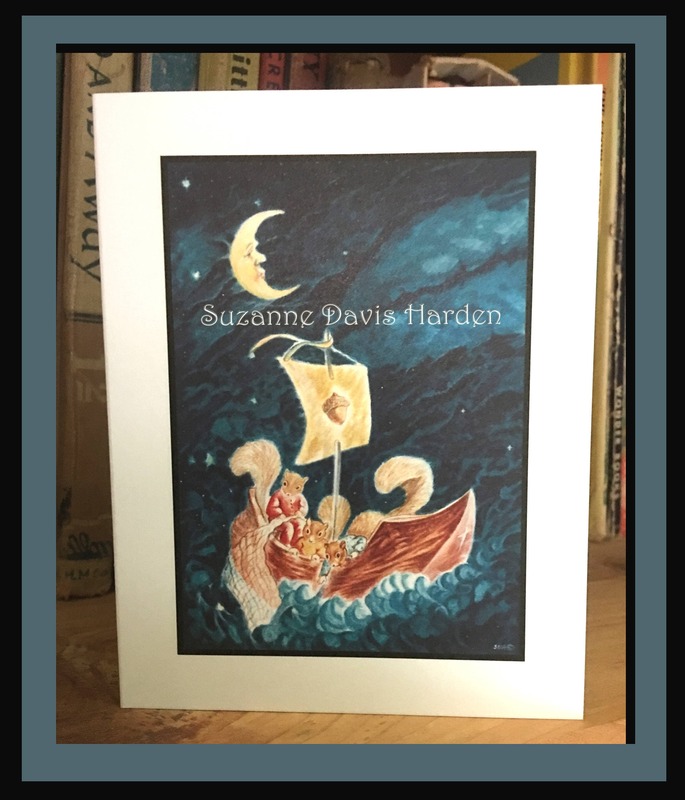 *Please see photos for more details. 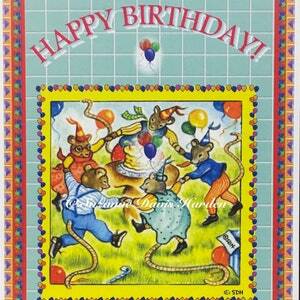 This beautiful card is printed on high quality recycled card-stock with environmentally friendly inks. 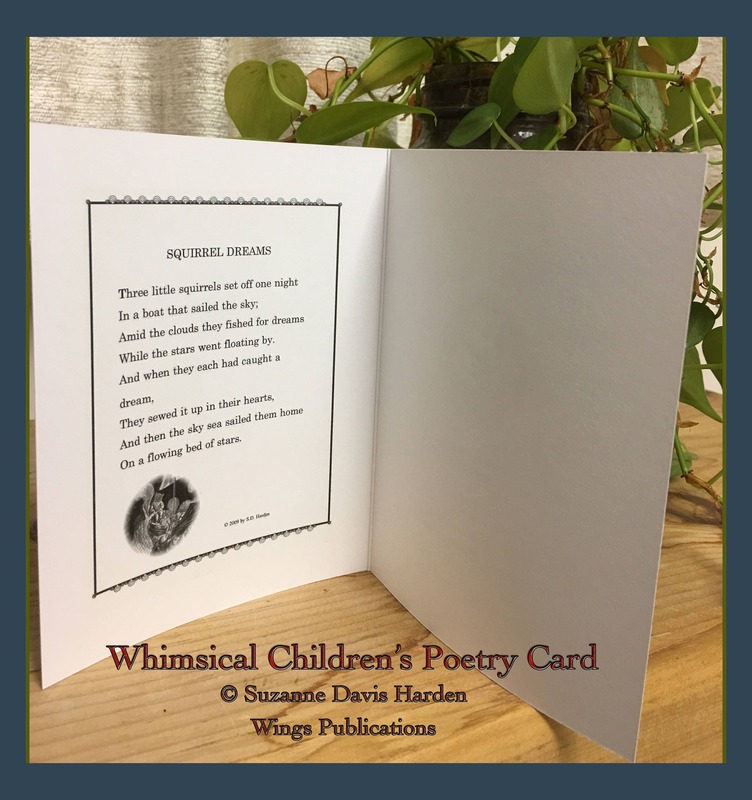 Each card comes with its own matching envelope. 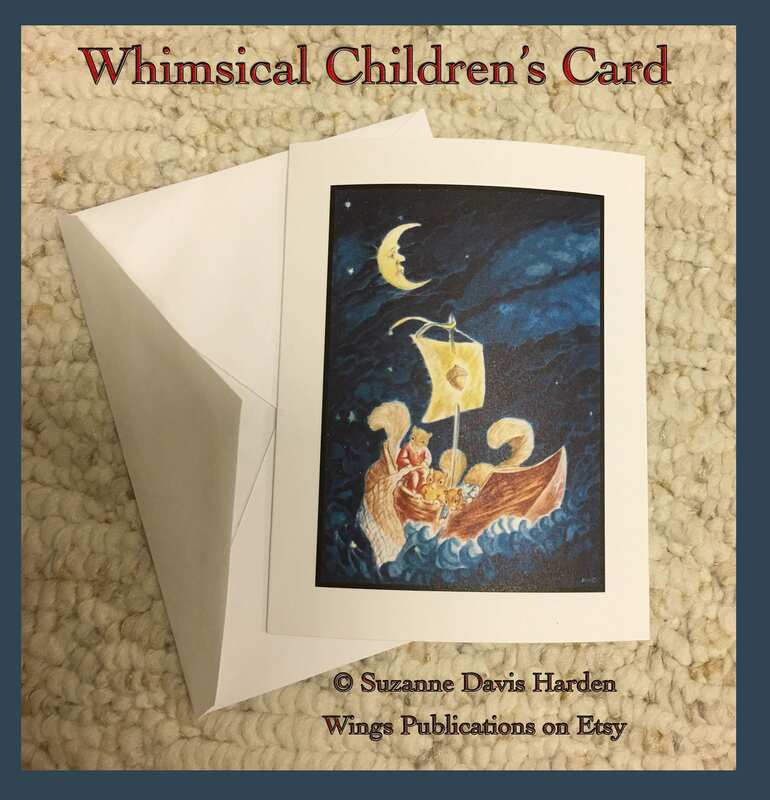 in sturdy, recycled mailers via First Class USPS within 1 -3 days of your order. 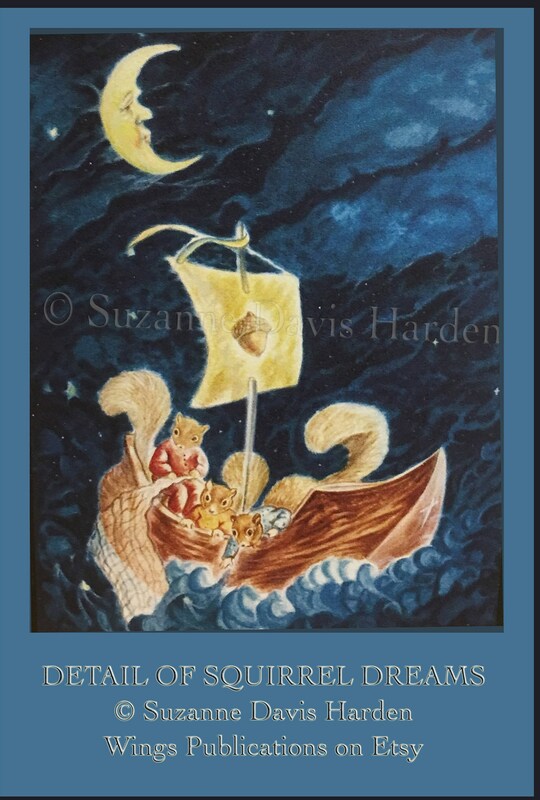 All watermarks are removed from your purchased cards.